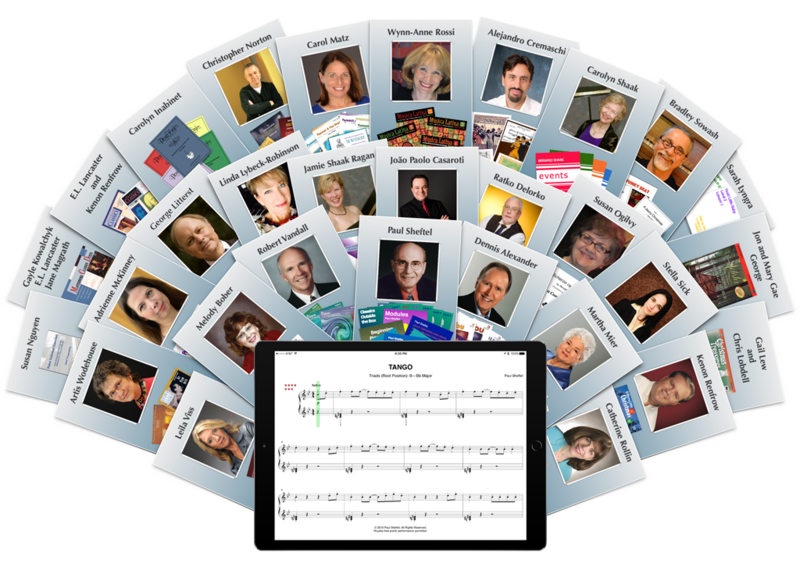 SuperScore is the premiere app for viewing, managing, and interacting with your library of musical scores. SuperScore provides virtually unlimited notation sizes with Liquid Music Display™ technology. Simply use the standard pinch and spread gestures to find the size and layout that is right for you. Use SuperScore to study, practice, or perform. Turn pages with a Bluetooth or MIDI foot pedal, annotate your scores, create set lists, listen to musical playback, and to the score interactive MIDI features. Even combine your PDF library with your SuperScore music. SuperScore music files are available as in-app purchases. SuperScore is a free download from the iOS App Store and comes with sample files. SuperScore 1.2.3 is now available. Be sure to update so that you can use the latest features and music files! SuperScore Music for the Holidays! SuperScore works with specially-formatted SuperScore files provided by publishers, composers, and arrangers, which are uniquely available from TimeWarp Technologies. SuperScore comes with sample files, and you may acquire additional scores as in-app purchases. SuperScore files are available as an in-app purchase. You can also import and use PDF scores (if you add this optional feature). 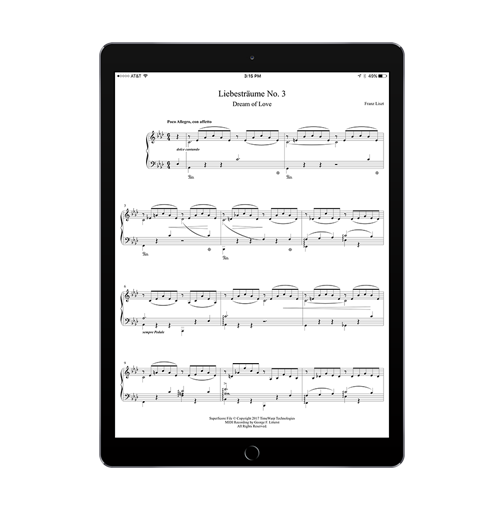 Although Liquid Music Display technology and MIDI playback do not extend to PDF files, you can enjoy other SuperScore features when using PDFs, such as the various methods of page-turning, markups, and Collections. Import PDFs using the “Share/Open In…” feature of Dropbox, Mail, and similar apps. SuperScore provides you with an extensive set of annotation tools, enabling you to mark up your SuperScore and PDF music for practice or performance. You can even show or hide your markups with a simple tap on the screen. You can make custom groups of your SuperScore and PDF files and thus create set lists (called Collections). Switch quickly from score to score within a Collection. Use this feature to keep yourself organized during lessons or at your next gig! Page-turning, the bane of many-a-musician, couldn’t be easier. SuperScore offers multiple page-turn options, including full and partial page-turns. You can set a playback tempo and follow a moving cursor while enjoying automatic page-turning or use any Bluetooth pedal accessory for hands-free page turns. You can even use a MIDI foot switch pedal to turn pages. 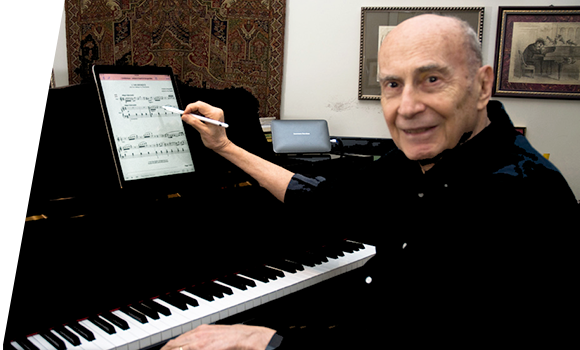 SuperScore files are often available with dynamic, MIDI performances recorded by fine artists. Some scores even included backing tracks that provide an immersive, real-world performance experience for students and professionals alike! These performance-type files can be played at ANY tempo, with the flexibility to mute any track. MIDI connectivity adds a whole other dimension to SuperScore. With any MIDI-enabled digital, hybrid, or even acoustic instrument, SuperScore can actually follow your playing. SuperScore responds to your tempo and dynamics, adjusting the speed and expression of the accompaniment parts, and turns your pages automatically. There is even a learning mode in which the program will wait for you to play each note. This is a set of 13 standard, classical piano works that include delightful backing tracks composed by Paul Sheftel. These pieces comprise a representative selection from the 6-level series Classics Outside the Box from CyberConservatory. The Gigue from J.S. Bach’s Cello Suite No. 1, BWV 1007 is included in an urtext edition. The complete suite is available in the TimeWarp Masterworks series. 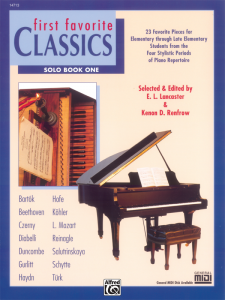 TimeWarp is the publisher of scholarly editions of classical works and has include the Ballade in C Minor, Op. 100, No. 15 by Johann Friedrich Burgmüller. From time to time, various publishers offer free sample scores. Be sure to check the in-app Store regularly! 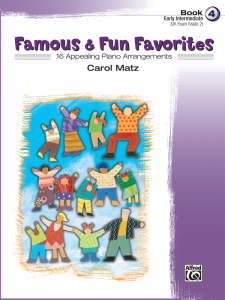 You can find them in the Free Sample Scores folder in the Store. MIDI Connections for iOS Devices is a free, pictorial resource that shows you how to connect your MIDI keyboard to an iPad, iPhone, or iPod touch. How do I get SuperScore? 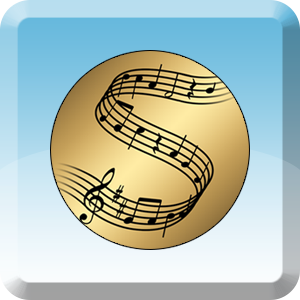 SuperScore Music is a free app for the iPad. Click or tap here to it from the iOS App Store. How much does SuperScore cost? Is SuperScore available for Mac, PC, Android, or Chromebook? At the present time, SuperScore is only available for iPad. Click or tap here to it from the iOS App Store. How do I purchase music for SuperScore? SuperScore music is currently available as an in-app purchase. Just start up SuperScore on your iPad and then tap the Shopping Cart icon. This will take you to the in-app Store where you can purchase the various SuperScore products that are showcased on this website. Can I bring my own music into SuperScore? 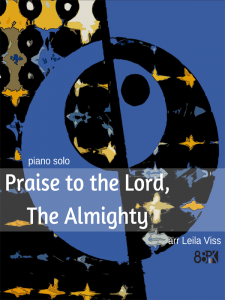 If you are a composer or arranger who is working with a publisher, please ask your publisher to contact us. We welcome new content from publishers. If you are a self-published composer or arranger, please contact us directly to discuss your aspirations. If you are a general user of SuperScore, you can import your compositions into SuperScore as PDF files. (Be sure to purchase the PDF import feature.) As mentioned elsewhere on this site, PDF files have a display that is fixed, not liquid, and do not contain playback information. Can I import my PDF library of scores into SuperScore? Yes! Just purchase the PDF import feature and you’re all set. Techniques for importing and using PDF scores are discussed in the SuperScore documentation. Tap the ? [question mark] button in SuperScore to learn more. If I delete SuperScore files from my iPad, can I restore them in the future? Go to the Store in SuperScore and tap the button to “Restore Purchases.” All of your purchases will be restored. Be sure that you are using the same Apple ID as before! Go to the Store in SuperScore and repurchase the music that you bought previously. If you are using the same Apple ID as before, Apple will recognize that you have purchased the music previously and will not charge you again. What kind of keyboard works with SuperScore? 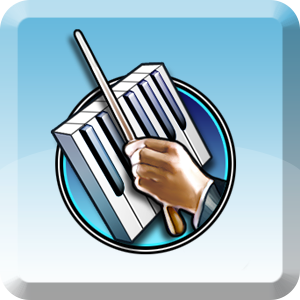 Complete General MIDI (GM) sound set for playing orchestrations. If your MIDI keyboard does not have GM sounds, you can use SuperScore’s built-in tone generator, in which case your keyboard only needs to supply MIDI Out. What kind of iPad do I need to run SuperScore? In all cases, iOS 9.0 or later is required. How do I connect my iPad with my MIDI keyboard? Please refer to our special guide: MIDI Connections for iOS Devices. Does SuperScore support MIDI thru? Yes. Find this feature in Settings : MIDI Setup. Does SuperScore support wireless Bluetooth MIDI? Yes. If your iPad supports Bluetooth MIDI LE, you can use Bluetooth MIDI with SuperScore. How can SuperScore help me learn to play? When probing the SuperScore Music Store, be sure to use the filters to locate the level of repertoire that applies to your situation. To use the interactive MIDI features of SuperScore, be sure to purchase SuperScore Music products that include MIDI playback. Listen to the music you are about to learn. Do using Normal playback. If there are backing tracks, listen both with and without the accompaniment. Note that there is a special button in the lower right corner of the main SuperScore window for muting accompaniment tracks. Start learning the notes slowly. Turn off playback of the accompaniment and use LEARN mode. You may practice with either one hand at a time or both hands. SuperScore will wait for you to play each note correctly. After you are comfortable with basic note-reading, move on to JAM mode. Turn on the accompaniment tracks. In Jam mode, you’ll have to keep up with the accompaniment. SuperScore will wait for your to play your first note and then will keep going. You have to keep up! You may want to choose a slow tempo and gradually increase as you improve. In many cases, you may want to work on short sections. Engage SuperScore’s Loop feature so that you can practice a brief section repeatedly. Start slowly, then gradually increase the tempo as you improve. 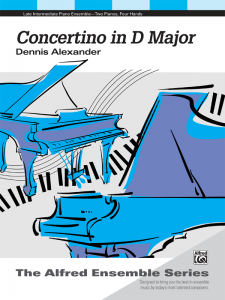 When you are ready to play the piece expressively, close to normal tempo, use Perform Mode. Perform mode gives you the flexibility to speed up and slow down (rubato), and makes sure the score and the accompaniment follow you as you play. Any time you engage an interactive Play mode, SuperScore makes a MIDI recording of your performance. At any point you can choose the feature to “Play back the recorded performance” and listen to your own playing objectively. You may also wish to watch our video on this subject. Start by tapping the markup button in the upper right area of the main screen in SuperScore. The icon looks like a document with a pencil. This will bring up the Markup feature. You’ll know that you are in Markup mode because there will be a pink stripe across the top of the iPad window. The first choice will bring up the Symbol Palette. Swipe through the symbol palette and choose the symbol that you want to use. Then tap somewhere on the staff itself to place the symbol. Move the symbol around as desired. Use the Symbol Edit window to change the color or size of the symbol. When you are finished editing the symbol and its placement, tap outside the Symbol Edit window in order to dismiss the window. The second choice will bring up the drawing feature. Tap that choice and then proceed to draw on the music. Be sure to draw, at least partially, on the staff itself. Once you have finished drawing, you can move the position of your drawing. When you are done drawing, tap the upper left area of the screen where it says, “Tap Here to Finish the Drawing.” This will bring up the Drawing Edit window. Use the features of this window to edit your drawing and then tap outside this window to dismiss it. When you are finished with your markups, tap “Done” in the upper left corner of the screen in order to return to the main window. NOTE: Markups are associated with specific places in the music itself. When the music is resized, the measures move around on the screen and the markups will move with the associated measures. If you want to place a markup in the space between 2 systems, it is important for SuperScore to understand to which measure the markup is attached. This is the reason why we recommend that you initially place your markup at least partially on the staff and then move it further away. ALSO NOTE: Since markups are associated with just one location in the music, it is important to avoid creating drawings that encompass large areas of the screen. For example, if you want to circle three different notes in the score, make each circle a separate markup. For more information about Markups, see the documentation that comes with SuperScore. How do I import PDF files? In order to import PDF scores, it is necessary to purchase the PDF Import capability. To do so, tap the Settings button on the main screen of SuperScore and then choose the option on the left side called “Import PDF Scores.” Follow the instructions provided. Why can’t I change the notation size in a PDF? A PDF consists of one or more graphic images that constitute the pages of the score. As graphic images, they do not contain musical information and therefore cannot be intelligently resized with a new musical layout. Why is playback unavailable for my PDF files? A PDF consists of one or more graphic images that constitute the pages of the score. As graphic images, they do not contain musical information and therefore cannot be played back. I imported my PDF library into SuperScore but cannot find the files. What’s wrong? In order to import PDF scores, it is necessary to purchase the PDF Import capability. If you have used iTunes or iMazing to import your PDF files, those files have been installed in SuperScore’s Library. However, they will not be visible if you have not purchased the PDF Import capability. To purchase the PDF Import feature, tap the Settings button on the main screen of SuperScore and then choose the option on the left side called “Import PDF Scores.” Follow the instructions provided. Why is the moving playback cursor not synchronized to playback with my acoustic player piano? Acoustic player pianos have playback latency. When a message to play a note has been received by the piano, the piano must move the key before you can hear the sound. The movement of the key takes time. Many player pianos have an internal setting that delays the audible playback of all incoming MIDI data by 500 milliseconds, which is one half second. You can adjust SuperScore’s moving cursor to match this delay. Tap the Settings button and then tap MIDI Setup. In the area to the right, look for the option to turn on the “500ms Playback Delay” and then turn it on. NOTE: If you switch to an interactive playback mode (Learn, Jam, or Perform), be sure to turn off this feature. If you are using your acoustic player piano’s built-in tone generator for MIDI Output in SuperScore, be sure that you turn off your acoustic piano’s MIDI Input delay. Modules, a SuperScore publication, is the 2017 recipient of the MTNA Frances Clark Keyboard Pedagogy Award! Paul Sheftel is a leader in keyboard studies and has performed, lectured and conducted workshops extensively throughout the United States. His published materials and software are widely used throughout the country. 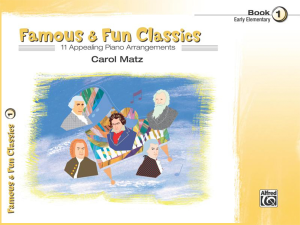 A pioneer in the creation of instructional materials using MIDI technology, he has created electronic accompaniments for an extensive collection of his original piano music. 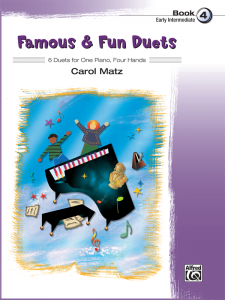 As part of the two-piano team of Rollino and Sheftel he performed throughout Europe and the United States. 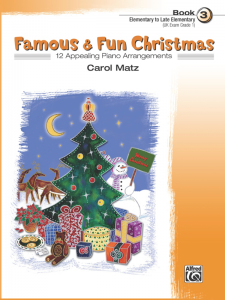 He has appeared in two piano and solo recitals in many of New York’s leading concert halls including Carnegie Hall, Town Hall, Alice Tully Hall, Merkin Hall and Hunter College. He has served on the faculties of the Mannes and Manhattan Schools of Music, Westminster Choir College of Rider University and Hunter College and has served as piano editor for Carl Fischer. (SuperScore) is paving the way to dynamic interaction with paperless scores thanks to its powerful Liquid Display Technology and in-app library. As a writer of educational piano music, I am enthusiastic about the new music app SuperScore. 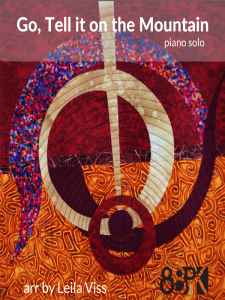 Piano students can learn the music in interactive and innovative ways, while playing with the creative MIDI background accompaniments. SuperScore is a welcome addition to music apps and is a wonderful blend of technology and the learning process. The SuperScore App is a classy leap into the future of music technology. As a composer, it‘s an incredible time to be alive as my scores and personal recordings move fluidly into a working tablet! SuperScore has given music study a remarkable tool with which to convey to students, teachers and parents the real meaning of music performance. They are surrounded by the joy and colors of music, and are invited to take part in the glory of what is written on the printed page! It has taken centuries to arrive, but it is finally here. Do not miss a moment of this accomplishment!